The 7 Pot Primo is the most wicked looking pepper in our stable. Absolutely one of the hottest we have this year. The yellow variant of the Primo is nearly as hot as the red and most of them have the unique tail. Very limited availability. 2 oz package contains about 8 peppers. Beautiful fruits, fantastic flavor and heat. I like them much better than the red. Definitely worth the price, and all three of my orders arrived nicely packed, in exactly two days. Thanks! 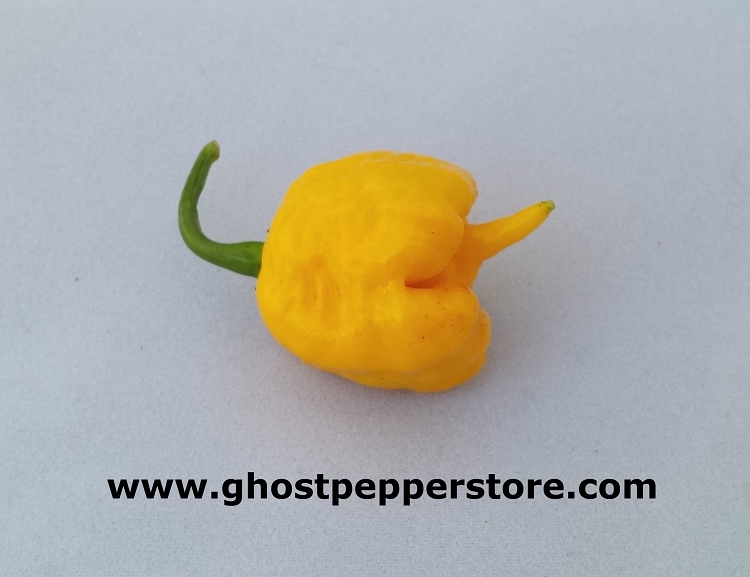 Fresh Yellow Scotch Bonnet 5lb BOX!